Adapted from Chef Felix Plasencia of Bulla Gastrobar in Coral Gables, FL, this Spanish appetizer is all kinds of right – salty, savory and exploding with flavor. Pair with Ribera del Duero’s Aster Crianza or Rueda’s Marqués de Riscal Sauvignon Blanc for a true taste bud experience your guests will enjoy. 1. Cut the sausage links into equal pieces. 2. Add oil to a sauté pan and heat on high flame until smoking. 3. Add sausage and cook for 1 minute. 4. Add cider, bay leaf and reduce heat to medium/low and simmer for 5 minutes. You must slow cook the sausage for the entire 5 minutes to ensure they are fully cooked inside. Ensure you keep the cider cold and covered to avoid deterioration of the product. 5. 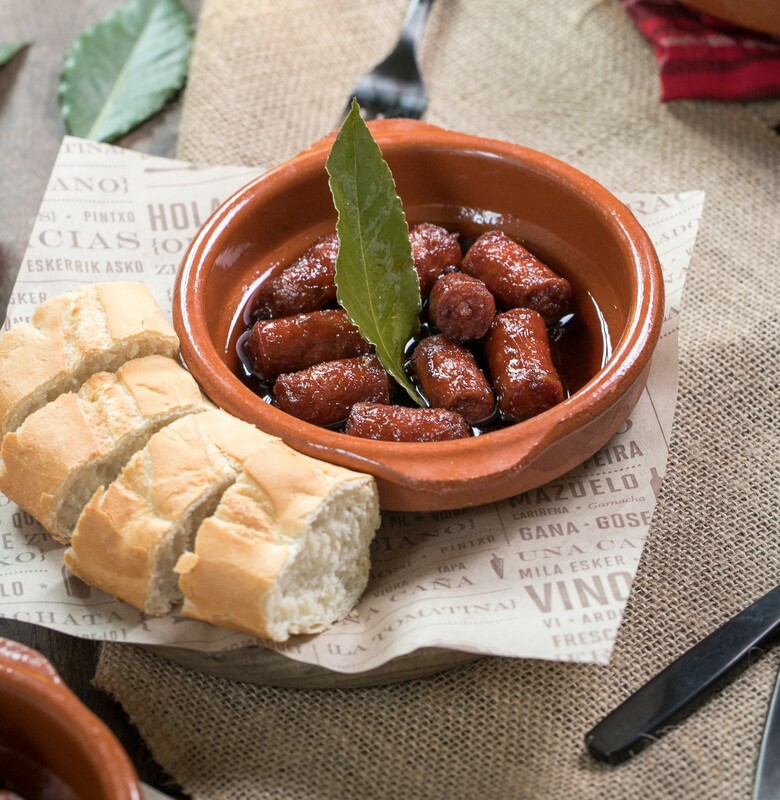 Grab a shallow round bowl, like a cazuela, and place the sausage and all the remaining liquid in pan inside. 6. Place the bay leaf so it lays on the rim of the dish. 7. Serve with toasted baguette to the side. Try our vibrant wines with tartare, tacos, board games or bocce. Sip them from a snazzy goblet or a plastic cup in your backyard — we trust that when you do, you’ll be relishing the moment. Oh, and the mouthfeel, of course. Sometimes the best stuff comes from conditions that are, well, not the most pleasant. Adversity produces great actors, great fighters, great music – and in the case of Ribera del Duero, killer wines. Spain’s most popular white grape is Verdejo, and it is native to the region of Rueda in Castilla y Leon.